Blog | Avcomm Solutions, Inc.
•	Is my business doing the right thing? •	Are we the most efficient we can be? •	How do we become efficient if we are not? From the time Henry Ford incorporated Ford Motor Company in 1903, until he launched the Model T in 1908, his quest to maximize production efficiency for this vehicle was balanced with making sure he was also doing the right things. Cost cutting and employee squeezing does not fit every product model. In fact, some companies have been more successful by paying higher salaries and spending lavishly on the work environment. So the question is, how do you know what is right for your business? Start a RIOTT. That's right. Start a RIOTT. As opposed to a violent disturbance of the peace, in business consulting, a RIOTT is a fantastic methodology to incorporate into your regular management operations. R-I-O-T-T stands for Review, Interview, Observe, Test, and Train. Review- Someone independent of the daily grind needs to review all the documentation and processes that you have set up for your business. An independent look is necessary; otherwise flawed processes are overlooked for convenience rather than improving business. Interview- After thorough review of all processes and documentation, interviews of random employees are conducted to gather an understanding of their knowledge and grasp of the process and compliance expectations. The findings are astonishing and usually reveal that this is the biggest gap in most companies, since usually the first budget cut is training. Observe- No matter how the interviews go, an observation of the present work environment and actual processes being followed is essential. Companies must ask themselves if they are practicing what they preach, or simply cutting corners for convenience. Looking good only on paper doesn't translate into compliance, efficiency, and results. Test- Demonstrating mastery on any subject generally concludes with a test, and business process mastery is no different. An important step in the RIOTT method is testing the processes you are investigating to ensure that what people were taught, and what they told you they understand, hold up to the test. Will they bend the rules, or completely break them, depending on what the customer, executive, or current need requires? Train- This stage occurs on several levels. First, the executives must learn how their business is viewed from an independent perspective. From this, a plan can be made on changes and improvements that must happen in order to align what should be taking place, and what is actual practice. Second, all levels of employees need to be taught the importance and value for why things are set up the way they are. Until someone truly understands the impact of why they need to do things a certain way, they can't understand why they shouldn't do them a different way for convenience. After all, they believe they have helped the company but instead have only confused convenience with efficiency. Controls need to be put in place so numbers and reports can tell how things are progressing and true measurement is normal practice. The Independent Consulting Bootcamp defines "consulting methodology" as: "methods or approaches used by consultants in tackling a particular challenge, problem, or client engagement." While there are many different ways to approach looking inside your business, the RIOTT method incorporates all facets needed for change. The goal of RIOTT is to provide companies with all of the information they need to gain a complete understanding of their current process and offer the tools to help audit those findings. The result of a RIOTT is a road map to develop an improvement plan. Would you like to start a RIOTT in your company? Entero Solutions is a Business Management and IT Security compliance consulting firm based in Austin, Texas. Once engaged, you will have access to experienced business executives who have traveled the globe helping companies through any part of the business cycle: from launch to sale. Entero Solutions can provide you the necessary help you need to start a RIOTT in your company. Josh Reeves is the CEO of Entero Solutions (a BPO consulting firm), and VP of Global Sales for TeleServices Direct. Contact Josh at 512-669-5ROI or josh.reeves@enterosolutions.com for an initial consultation. Find Josh on Twitter: @mendavis08. This sleek speakerphone packs a lot of punch in just a 6-ounce device! Measuring 5.3" x 7.2" x 2.2" its small size belies its ability to turn any room into a conference room. The 360 degree microphone allows everyone on the call to hear and be heard from all angles. When you're off the call, use the Jabra Speak 510/510+ for your music and other multimedia. The Speak 510 is easy to use and truly "plug and play." When you take the Speak 510 out of the box, you can plug the USB cable (wrapped around the base of the unit) into a USB port on your PC. It automatically turns on when connected to your PC. 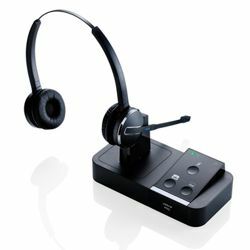 If you have multiple USB devices connected, you may need to go into your softphone settings and choose the Jabra Speak 510 as your preferred device. With the Speak 510+ model, simply plug the included Bluetooth dongle into a USB port on your PC for complete wireless freedom of up to 300 feet! Connect the Speak 510 and Speak 510+ to your tablet or smartphone via Bluetooth, by pressing the On/Off button on the speakerphone for 2 seconds until all the lights flash. Next, press the Bluetooth button on the Speak 510 until you see the blue light flash and you hear connection instructions. Release the button. On your smartphone or tablet, enable Bluetooth and select Jabra 510 from the list of available Bluetooth devices. Voila! Instant Bluetooth connectivity! The product features eight LED soft buttons which allow you to answer, end and mute calls at the tap of a button. You can also turn the speaker on and off; adjust the volume with the Volume + and Volume - buttons, and check the Battery Level. Tap the Battery Level button and all of the LEDs light up to show the charge level. For additional setting options and to keep the product's firmware up to date, we recommend downloading Jabra's FREE PC Suite software. Click here to download. 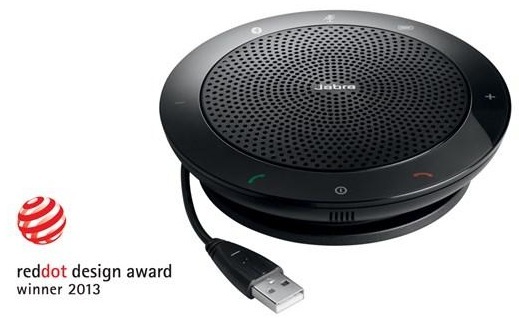 The Jabra Speak 510 gives you the flexibility to conference anywhere. A specially designed protective neoprene zippered case comes with the speakerphone so that you can take the Speak 510 where you need to go. The rechargeable battery gives you 15 hours of talk time. Charge the Speak 510 via USB; an AC adaptor is available as an additional purchase if you prefer. At a reasonable price of around $100 (depending upon the variation you choose) the Speak 510/510+ is a great investment in a diverse device that far surpasses its price point. Contact us at 1-866-998-9991 or sales@avcommsolutions.com to find out which Speak 510 is right for you! Good Manners are the Glue of Society … We Give Thanks! 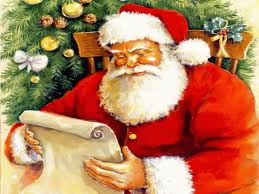 A sincere thank you can brighten a day; improve a mood; inspire a project; reinforce a decision; make someone smile. The benefits are endless; the costs, nil. With Thanksgiving Day quickly approaching, our thoughts naturally turn to gratitude; however, we shouldn't "save up" our appreciation for only one day, and should strive to seek ways to express thanks regularly. In the workplace, studies and anecdotal evidence have shown gratitude to be an important (and profitable) business strategy – at little to no cost! 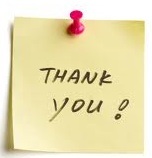 The positives – in both attitude and balance sheet – of the power of "thanks" can be long-lasting. There are no hard and fast rules in how to thank your employees, co-workers, customers, and vendors. When you are sincere, specific, and timely in your appreciation, you will make an impact. Don't qualify the thank you with a negative comment, or use sarcasm. These are quick ways of invalidating the thanks, and can harm the relationship. Always remember, even when we receive negative feedback from, for example, a customer, we should be appreciative. This valuable information can help your business if you take the time to really listen to the message! In this Seinfeld episode, Jerry complains about "overthanking" and Kremer reminds him that good manners are the glue of society. Thank you, reader, for spending some time to read this blog post. We would love to hear your opinions on expressing gratitude in the workplace! Last month we attended the SOCAP Annual Conference in Scottsdale, AZ, where the Society of Consumer Affairs Professionals (SOCAP) celebrated its 40-year anniversary of providing guidance, numerous opportunities to network and collaborate, outstanding and relevant content, and an overall experience to the world of customer care that is truly unlike any other. People: As we move away from a transactional economy to a relational economy, it’s really about who we are that sets us apart from the competition and helps define our culture as a company. This rings true within the SOCAP organization as well. After attending our very first SOCAP national event over five years ago, the importance of relationships and connections within the organization became very evident. This was something that not only attracted us to SOCAP, but helped solidify the reason we became involved with such a great organization. You see, here at Avcomm, we grow our business by the relationships we foster. While our goal is, of course, to provide our customers with quality communication devices at the best prices possible, we thrive on the long term relationships that are created along the way. Think Big. Think New. Think Quick. Information: Once you understand your customer, the organization fundamentally changes. Leveraging the multitude of tools and technologies of today is quite possibly your biggest challenge, but if you can reach a point where all of the data and information are compiled to form a true picture of your customer, you will be able to deliver a better, more customized experience for them. For more information about SOCAP International, click here. Did you attend the SOCAP Annual Conference last month? Please share with us some of your takeaways!